As a contemporary romance author I am often asked if I believe in love at first sight, and my answer is yes! Now I can already hear a chorus of naysayers grumbling that there is no such thing, and yes, unfortunately, such fortunate events are rare in life, but that does not mean that they do not happen. Today I would like to share an account of events that happened to a very close friend of mine, and leave you to decide whether love at first sight exists or not. About fifteen years ago my friend – for the purpose of this story I’m going to call her Leah – went to London for a semester of study abroad. While there she met Adam - a handsome young man who was in one of her classes. Leah was instantly smitten with Adam’s good looks and charming personality, as he was enamored with her beauty and wit, and the two embarked on a passionate romance. In the sporadic postcards and letters that Leah sent me she would gush about how incredibly wonderful Adam was and how she was certain that he was the one for her. I read the postcards and the letters, and while I was happy for my friend, I found it my duty to caution her against the danger of a broken heart, so I would send back subtly worded reminders that she was only in London for a year and that it would be rash to plan too far ahead. Before long, Leah’s year in London came to an end, and she returned to New York. But Adam would not leave her thoughts, as the two continued to exchange long-distance phone calls, postcards and letters. Long story short, the next year Adam transferred to a college in New York, he graduated two years later, and got a job in New York. Three years later he and Leah got married. Today they are as happily in love as they were fifteen years ago with the addition of two kids. Is Leah’s and Adam’s love story a story of love at first sight? I would not presume to be the one to judge, but there must have been a powerful strike of connection between them that held true through the college years, which undoubtedly must have brought plenty of temptation to both of them, and is still holding true for them today. Real life stories like Leah’s and Adam’s inspire me to write the fiction that I write and believe that even in real life impossible romances can happen. Dance Me to the Stars, has been selected in the first round of entries in the General Fiction category in the Amazon Breakthrough Novel contest this year. Dance Me to the Stars is 254 pages in length and is available on Kindle. 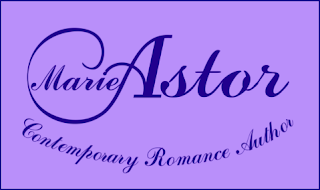 Marie Astor is a die-hard romantic who wholeheartedly believes in true love, which is why she writes in the contemporary romance genre. Marie is the author of contemporary romance novels Dance Me to the Stars, On the Rim of Love, Lucky Charm, and a short story collection, A Chance Encounter and Other Stories. 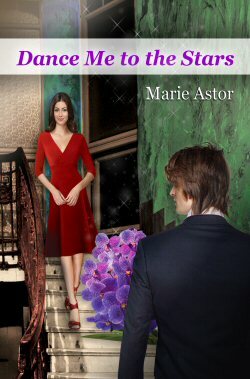 Marie’s latest novel, Dance Me to the Stars, has been selected in the first round of entries in the General Fiction category in the Amazon Breakthrough Novel contest this year. 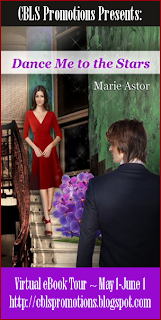 Currently, Marie is working on her next novel – a first installment in her romantic suspense series. Stop by Marie’s website: www.marieastor.com to sign up for book releases and events. Marie can also be found on Facebook: http://www.facebook.com/marieastorcollection and Twitter: @marieastor. Dance Me to the Stars – a contemporary romance about finding one’s perfect match. 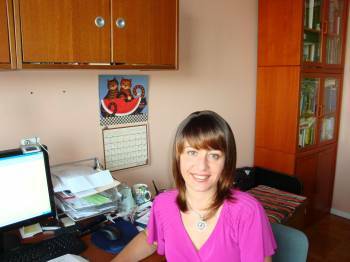 Thank you so much for the chance to view your work! Thanks for the chance. The story sounds like a keeper. I think love at first sight is possible. Many just do not want to believe in it. I enjoyed the excerpt a lot. Thank you for hosting me today at Full Moon Bites! Hi Kassandra, Loretta and Juana! Thank you so much for your comments! I am so glad to hear that you are enjoying the tour! I don't really believe in "love" at first sight, but I do believe in lust or attraction at first sight. Thanks so much for the giveaway. I believe in love at first sight. It happened to me and we have been happily married for 8 1/2 years. Thanks for the giveaway!